Harrah’s Atlantic City is finishing up a $56 million hotel tower renovation. 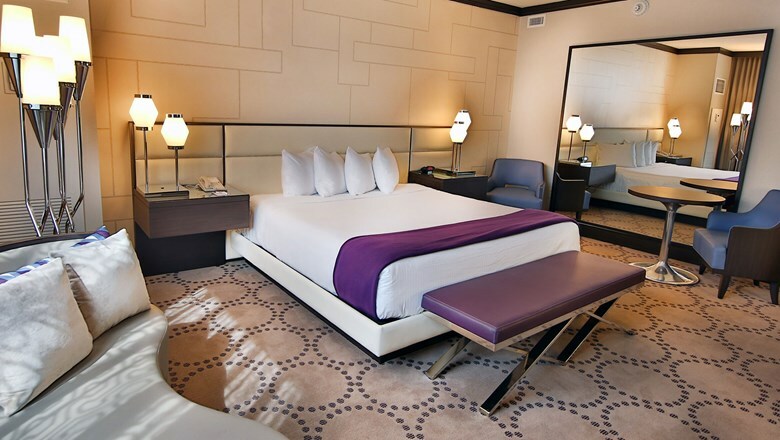 A much-anticipated $56 million renovation of one of Harrah’s Atlantic City’s five hotel towers is winding down, with the first wave of guest rooms set to open this week. The 507-room Harbor Tower is being rebranded as Coastal Tower and will feature earth tones and décor to match the recently-redesigned Bayview Tower. All rooms in Coastal Tower have either ocean or bay views. The tower is steps from Harrah's 125,000-square-foot Waterfront Conference Center, which was renovated three years ago and is part of Harrah’s larger investment in the East Coast meetings market. Besides three ballrooms, two of which offer 50,000 square feet of pillarless event space, the property has 63 other meeting rooms and a 1,200-seat theater. The hotel’s indoor pool, situated under a 90-foot glass dome, offers additional space for private events for up to 2,500 attendees in the climate-controlled, tropical-themed venue, which has two levels of decks and an outdoor balcony. There are more than 10 restaurants in the hotel and entertainment complex, including the recently renovated Gordon Ramsey Steak; an Italian-America restaurant, Martorano’s; and Veracruz, an upscale Mexican restaurant.